Sacramento has a gross reputation of being exceedingly lackluster with nothing to do, unless you have a car, or are easily entertained by infinitesimal things. I am guilty of being one of those people who used to groan and grumble about the lack of “fun” things to do on the weekends when I was in high school. And after having moved out of Elk Grove into a much bigger city at the end of my high school days, I can even further attest to the fact that there is, indeed, nothing that would interest anyone of the teenage demographic in the small town of Elk Grove. However, after further contemplation, I’ve figured out that people consider Sacramento and Elk Grove to be so boring because of one (or more) of several things: 1. You, in fact, do not own a car and/or do not have the capacity to find other modes of transportation (remember those things extending from your torso called legs? ), 2. You live out in the boonies (aka Marysville or pretty much any other city in Yuba County), or 3. You’re a teenager in high school who just likes to complain about things. But if you’re simply someone passing through, and would like to see some of the highlights of Sacramento, there’s plenty of things for you to do. So, fellow Sacramentans/Elk Grovians (I’m not entirely sure if either of those things are actual words), if you ever find yourself in a bind, wondering what to show your tourist friends, or if you’re simply looking for a day out of your stuffy house, I have a few ideas for you. You’re welcome in advance. Old Sacramento is a small stretch of Downtown Sacramento that has been preserved to emulate the city’s former face. In Old Sac, you can find several little shops that sell things ranging from souvenirs to costumes, and also quaint cafes to relax at after being on your feet, exploring the area. There are also several museums in this area, including the incredibly popular California Railroad Museum. 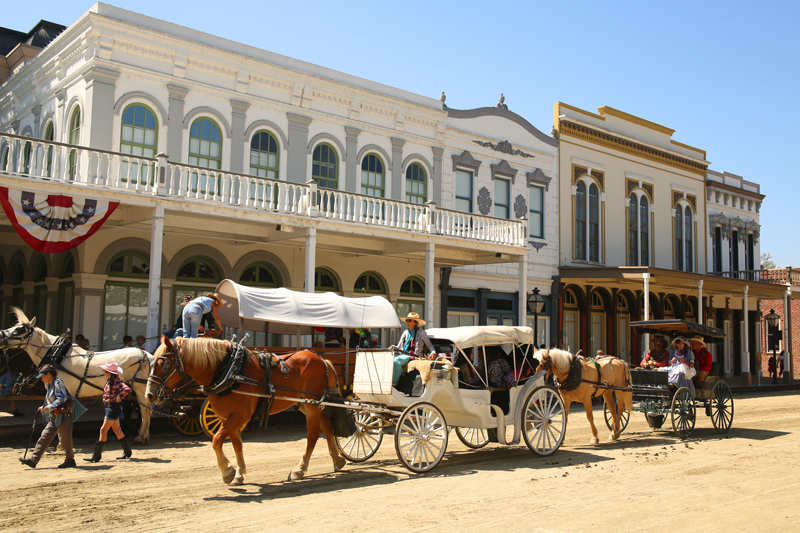 To add onto the ambiance of life in Sacramento in the 1800’s, horse-drawn carriages can be seen strolling around the streets, which are almost completely made of dirt and gravel. While you’re in Downtown Sacramento, and don’t feel like reliving the Gold Rush days, the Capitol is another great place to bring people who have never been to Sacramento before. Once inside, there are a variety of exhibits to look at after you’ve finished marveling at the overhead dome and the huge grand staircases. 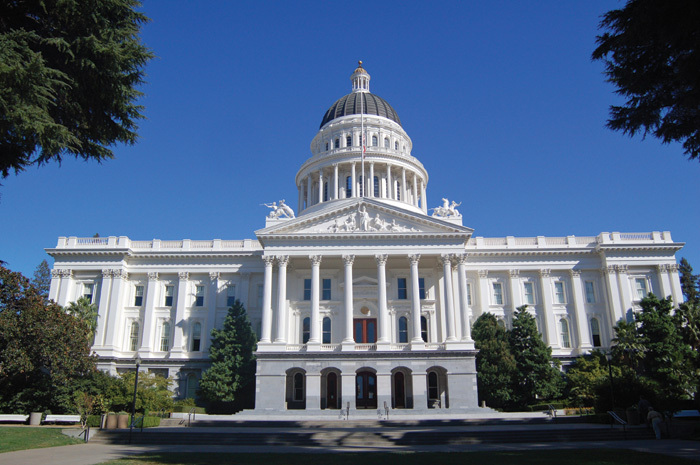 The Capitol also serves as a museum, containing original portraits of past California governors, as well as original furniture and artifacts that have been preserved from their prior owners in the preceeding decades. You can also go into rooms and old offices within the building that were used by past legislators. I, myself, wasn’t exposed to the life of Midtown until recently. Honestly, this area of Sacramento has always turned me off, mostly because of the obnoxious one-way streets, making it a literal nightmare to navigate through. But if you are sans car, by all means, explore away! If museums and exhibits aren’t your preference and are cotton to the active small town scene, Midtown is full of privately owned and lesser known bars, eateries, and coffee shops. 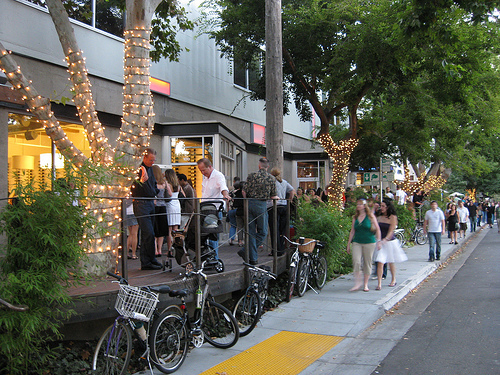 An exceedingly popular attraction that occurs in Midtown is the 2nd Saturday Art Walk. Just as the title suggests, the event is an extensive art exhibit that takes place on the second Saturday of every month. Here, you can explore local talent, including performing artists as well as the displayed works of fine artists. The streets can get crowded, but it’s worth the experience. 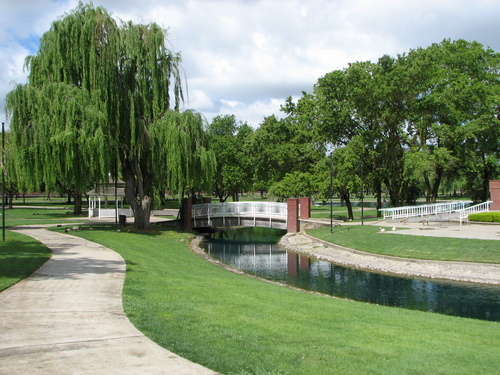 If you’re looking for a less taxing experience during your visit and are partial to, say, a literal walk in the park, Elk Grove Park is a great place to relax and enjoy nature. It’s not exactly the Botanical Gardens, but the simplicity is what makes the park so appealing. Enjoy a picnic, take photos, or just enjoy a stroll through the greenery, Elk Grove Park is a good place to get away from the chaotic and fast-moving life of Downtown and Midtown Sacramento. Fair warning, though, beware of the vain high school kids having little photoshoots in search of their new Facebook profile pictures. In addition to the four places I’ve listed above, there are other things around the area to see. Sacramento continues to expand its catalog of culinary exploits by opening new branches of up-and-coming foodie-friendly places. Over the past two years, Elk Grove opened the doors of new branches of upcoming chains including Leatherby’s (a family owned creamery originating from the Arden area), C.R.E.A.M. (a Davis-based creamery specializing in cookie ice cream sandwiches), and Wrap N Roll (serving pseudo-Japanese cuisine including sushi burritos, something that has been growing in popularity over the past several years). Pieology, a custom pizza chain originating from Fullerton, opened a store in Midtown to go along with the other trendy food places that inhabit the area. So if you are sitting at home with nothing to do, much like I am right now and have been over the past week, just know that you have options. And if you ever find yourself with a tourist in your hands, don’t just take them out to the movies or shopping – those are cop-outs, and you can do both of those things anywhere (although the Roseville Galleria is a sight to behold in case you burn through every possible tourist attraction). And with that, I hope you all are having a fantastic weekend!